For information on purchasing Radio Design Labs products, finding a local RDL dealer, click on your state below to locate the RDL sales representative nearest you. 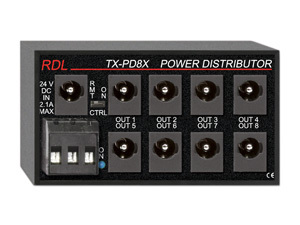 For information on purchasing Radio Design Labs products, finding a local RDL dealer, click on your state below to locate the RDL distributor nearest you. EC-6 AC Power Extension Cord (6 pack) - North American - 6"
TX Series modules are application-specific modules for the A/V and related industries. Many TX modules offer galvanic transformer isolation. Module functions include signal detection, switching, amplification, format conversion, line driving, mixing, distribution, twisted-pair sending/receiving and more. Each TX is a compact module engineered to provide higher performance and longer life than other industry products. TX modules are solid encapsulated hybrid circuits in durable industrial black plastic/steel or aluminum enclosures with clear bold white lettering for the jacks, terminal block connections, trimming controls and switches. TX modules are constructed in two widths and heights. All TXs are the same length, have the same mounting hole configuration, and are compatible with all TX series mounting options. A complete range of mounting options is available for systems utilizing multiple TX modules. 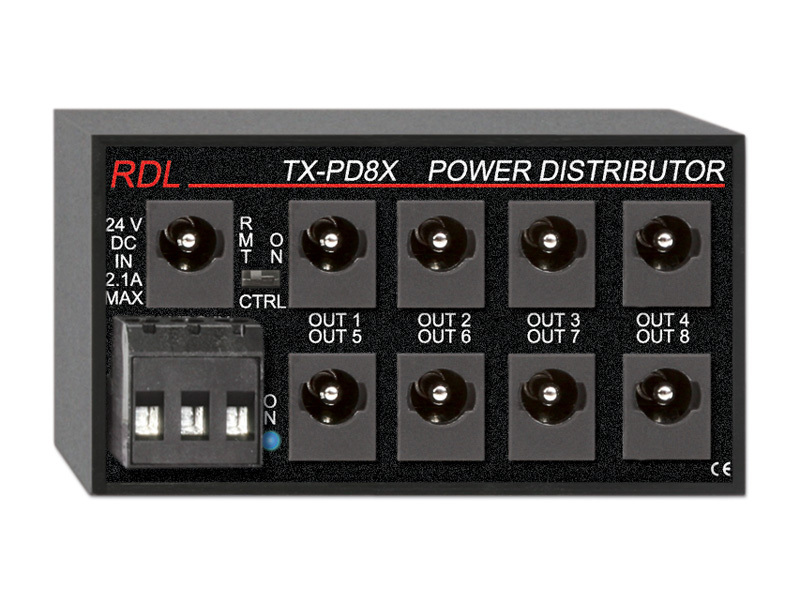 A single TX module may be mounted right where its function is needed, and are widely used in system designs with OEM or other RDL products. TX SERIES modules are designed and manufactured in the U.S.A.